Avengers: Infinity War is currently and is likely to remain my number one film of 2018. What that film accomplished and the amount of expectation it lived up to is as close to immeasurable as I can imagine and so, to say that anticipation for the follow-up and conclusion of what has been a decades worth of films is high is an understatement. Since the credits rolled on Infinity War in late April of this year leaving room for only a minor Captain Marvel tease afterward there has been little discussion about what was to come in the direct sequel to the film despite coming to know how absent players like Ant-Man and the Wasp played into the events of the film. Marvel Studios will of course be rolling out Captain Marvel in March of next year and delivered a second, full trailer for the Brie Larson-fronted film on Monday night as rumors are also swirling that our first look at Spider-Man: Far From Home will be arriving tomorrow via the Sony Panel at the Comic-Con Experience in San Paulo, Brazil. Sony no doubt wanted whatever kind of teaser has been put together for Far From Home to play before the upcoming Into the Spiderverse that opens next weekend and given at the end of Infinity War that character was a pile of dust there would need to be some kind of statement from Marvel or glimpse at the second half of Infinity War so as the more casual viewers might possibly understand how Tom Holland's webslinger was back. Up until this point though, not even a title was know for the fourth Avengers film and now, as we have the title and have seen images from the film confirming it will in fact be ready to go by this summer movie season it's kind of surreal in a way that this was always going to be unavoidable, but somehow it seemed as if it might be so big as to forever elude us. Avengers: Endgame also stars Scarlett Johansson, Robert Downey Jr., Elizabeth Olsen, Chris Pratt, Chris Evans, Benedict Cumberbatch, Paul Rudd, Chris Hemsworth, Chadwick Boseman, Anthony Mackie, Brie Larson, Karen Gillan, Jeremy Renner, Evangeline Lily, Vin Diesel, Michelle Pfeiffer, Sebastian Stan, Samuel L. Jackson, Bradley Cooper, Pom Klementieff, Dae Bautista, Josh Brolin, Paul Bettany, Mark Ruffalo, Benedict Wong, Don Cheadle, and opens April 26th, 2019. 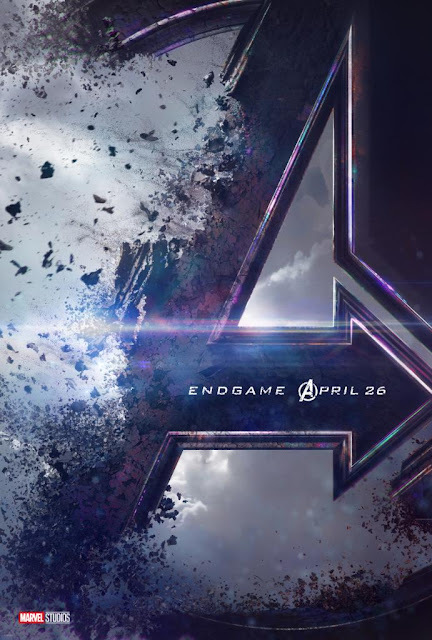 Synopsis: A culmination of twenty-two interconnected films, the fourth installment of the Avengers saga will draw audiences to witness the turning point of this epic journey. Our beloved heroes will truly understand how fragile this reality is and the sacrifices that must be made to uphold it.